Hey!! Thanks for stopping by! This tour is brought to you by: Full Moon Bites Blog Tours. Don't forget to check out the other blogs participating in this tour HERE. One Man, Two Women, Two Gods...who will survive the Trickster's snare? Ghostly images materialize in Nina Weaver's photos. Goons try to kidnap her. When her photographs are stolen and her best friend is shot, she realizes that she has no one to turn to but her ex-lover, Pascal ""Goofy"" Guzman. Together they go on a desperate road trip in search of answers. The truth is darker and more terrifying than Nina could ever have imagined. After their love re-ignites, they fall into the Trickster God's trap. 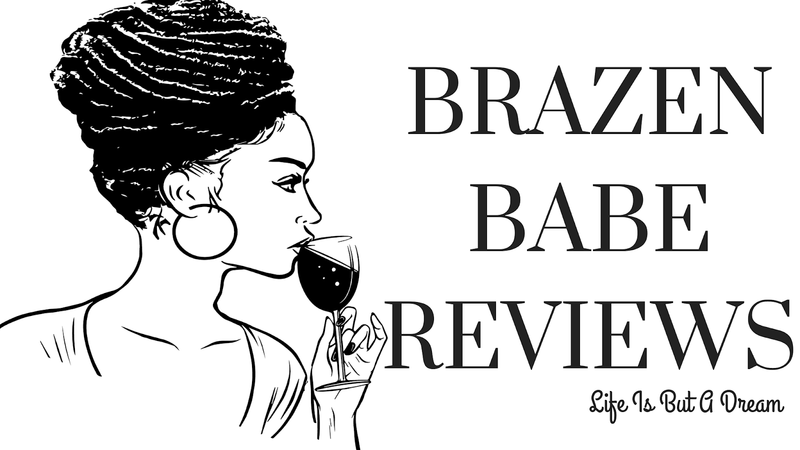 Ana: Welcome to Beach Bum Reads! I am super excited that you could join me today! April Grey: I'm delighted to be here! Ana: Can you tell us a little about yourself? April Grey: I'm the author of Chasing the Trickster, published by Eternal Press. Also, my short stories appear in numerous e-zines, along with e- published and print anthologies. I live in NYC with my hubby and teen son. My life prior to marriage was involved in working in the theatre and in law firms (gotta pay the rent). After marriage and motherhood I've spent my time writing as well as teaching art and ESL. Ana: What was the first book that got you into reading? April Grey: The Lion, the witch and the Wardrobe. It was read to us in first grade and I was hooked. Ana: What/who inspired you to become a writer? April Grey: I think it was primarily the work of Charles DeLint that made me want to write, but there's a whole stable of favorite authors before and after him that gave inspiration. 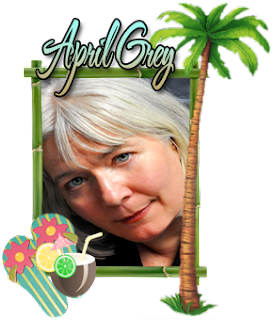 April Grey: Keep honing your skills and keep reading. Observe what your favorite writers do that brings you pleasure. Find what appeals to you as a reader. Don't try to copy, but learn what works for you. Ana: Can you tell us a little bit about Chasing the Trickster? April Grey: It's a crazy road trip to self discovery for Nina Weaver, our main character. Uncanny things have been happening to her such as mysterious images and messages showing up in her artwork. But when she barely escapes being kidnapped and her best friend is shot, she decides to get to the bottom of the mess her life has become. She winds up accepting help from her ex-lover and on their trip they fall back in love. Eventually they discover that they are pawns in a rivalry between two pagan gods, Cernunnos and the Trickster God of the American Southwest. Ana: Who was the hardest character for you to write? April Grey: Linda, because she is a tragic figure. There were times that I cried as I wrote her story. Ana: Where did you come up with the idea for Chasing the Trickster? April Grey: I've long been a fan of the work of Carl Jung. In particular, I was intrigued by his writing on the Trickster Archetype. The Trickster comes and shakes us up whenever we get big headed and think we know everything there is to know. Ana: All book descriptions set aside, they say a picture is a worth a thousand words. What do you think the cover for Chasing the Trickster says? April Grey: The cover depicts the Celtic god, Cernunnos. Even though the title of the book is Chasing the Trickster, it is the first book in the Cernunnos series. A pagan fertility god, Cernunnos gets mixed up in people's problems as he goes on his own journey of self-discovery. Ana: Are you currently working on anything? Care to dish? April Grey: The sequel to Chasing the Trickster, St. Nick's Favor will hopefully be released this holiday season. We are working on the cover right now. Also, I'll be teaching a course at Savvy Authors early next year on Getting Published in E-zines. I have just published "Troll Bridge: Three Unlikely Stories" for Halloween. Ana: Okay, last question… and I’ve gotta ask… are you a beach bum? April Grey: Yes, I am. Or I would be if my husband wasn't deathly allergic to beach grasses. I'm hoping to head to Nantucket next year for our 20th anniversary, but he'll need to bring an Epi pen. April Grey: Thanks! It was a pleasure. April Grey: Salad (I switch off between Vegan and Lacto-Ovo-Pesco Vegetarian). I'm also gluten free. April Grey's urban fantasy novel, Chasing The Trickster, is published by Eternal Press. Her short stories have been published in such print anthologies as Demonmind's Halloween 2010, The Best of Everyday Fiction 2, Northern Haunts, Ephemera and Terrible Beauty, Fearful Symmetry. Many of these stories can be found in her collection, The Fairy Cake Bake Shoppe available through Amazon and Smashwords. She and her family live in Hell's Kitchen, NYC in a building next to a bedeviled garden. Gremlins, sprites or pixies, something mischievous, lurks therein. Someday she'll find out.